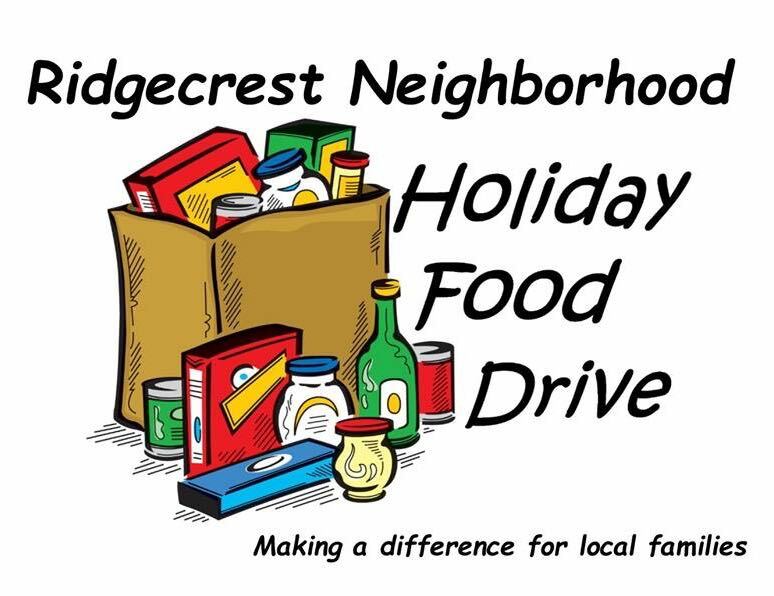 The Ridgecrest Neighborhood Association is sponsoring a Holiday Food Drive to support Hopelink - Shoreline's Food Bank. Your donation will help families in Shoreline who have few resources have enough to eat during the holidays. 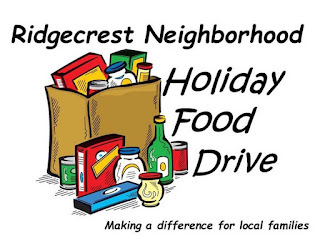 Please help our neighbors in need by bringing non-perishable food items to either of our partnering businesses. Café Aroma, 509 NE 165th, open 5:30am-6pm, 7 days a week. Thurs - Sun from 2pm- midnight. The Food Drive runs from now until the end of December. You do not have to limit your donations to one time. If every person would donate a can of food a week, we could easily meet our 1,000 pound goal. But please don't wait to make your donation. We have a lot of families right here in Ridgecrest who need help now. --Thank you - the Ridgecrest Neighborhood Association Board of Directors.